When you’ve had a late night and have to wake early (and look alive), all you need is skincare that would plump up and smoothen the skin immediately before makeup application. 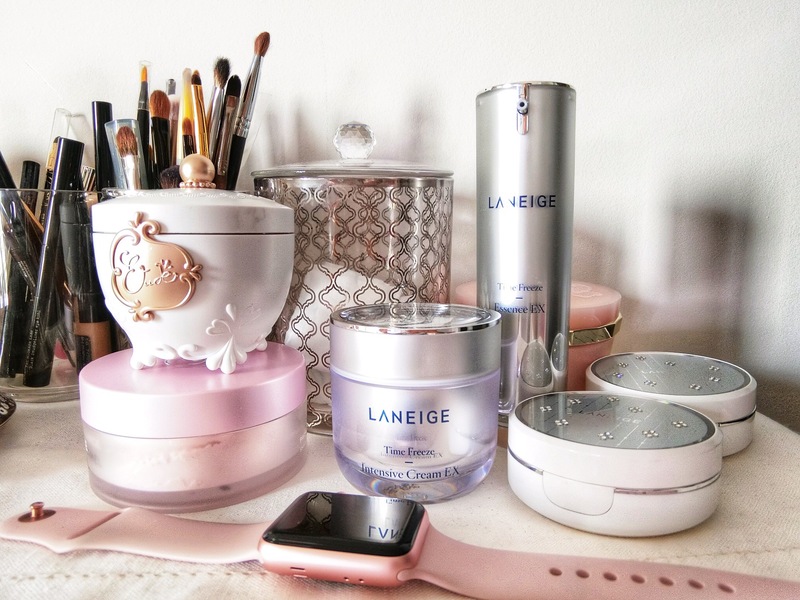 Laneige’s Time Freeze Essence Ex (S$90) and Intensive Cream EX (S$95) seem to do just that. The Essence is a viscous serum which feels like a lightweight day moisturiser. Containing hyaluronic acid, it quickly adds a layer of satin smoothness and suppleness to the skin. Thus creating a perfect smooth base for foundation application. The Intensive Cream is best used on drier skin. The rich water-and-oil formula boosts the absorption rate, keeps skin moisturised for longer while smoothening the appearance of fine lines immediately. Good as a night cream as well. Add these to your bag of quick skincare-fixes for the Morning After.